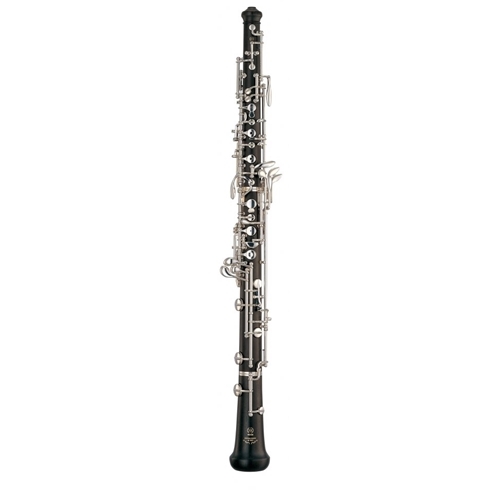 Yamaha oboes achieve a clear sound quality and superb intonation by dramatically improving the precision and stability of the bore. Also to cope with various durability issues inherent in wooden wind instruments, Duet+ models employ innovative techniques to form a protective layer next to the air column. The combination of precious wood and state-of -the-art resin is not simply a "Duet" of tradition and technology - it's a "Plus" advantage indeed! Insert Molding Using patented technology, the injection-molded inner bore is designed to resist cracking while also stabilizing the bore which adds consistency and durability. The upper joint body is drilled out slightly larger around the bore and tone-holes. Thermoplastic ABS resin is injected into the cavity, instantly forming the inner shape of an oboe. It is designed to preserve as much as 90% of the wooden portion, while its natural appearance is hardly distinguishable from conventional all-wooden models. Toneholes Upper-joint tone-holes (except metal octave vents) are molded simultaneously with the resin bore. Joint Tenon The upper joint tenon is also formed as an extension to the resin bore. This ensures smooth connection between the joints even under moist conditions. Marking The gold-colored trademark logo is stamped on the back of the upper joint.